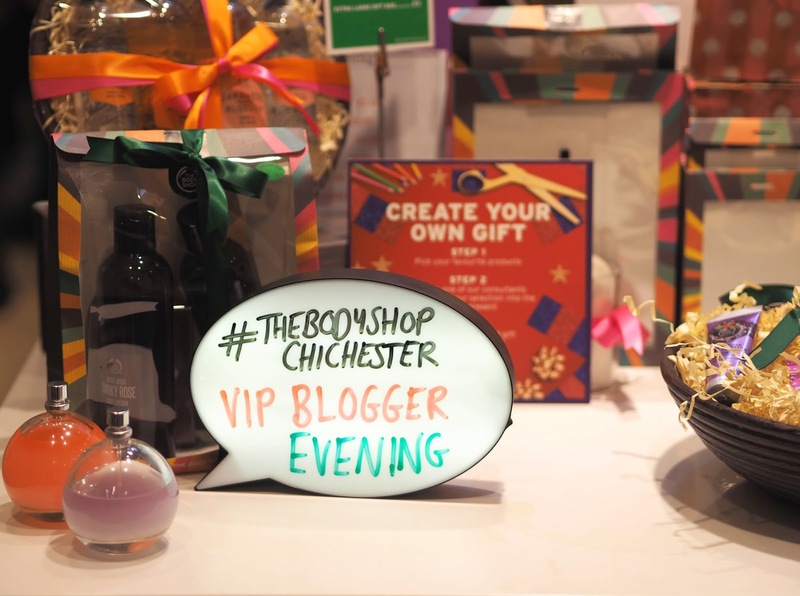 Recently I was invited to a special Christmas event at The Body Shop in Chichester! 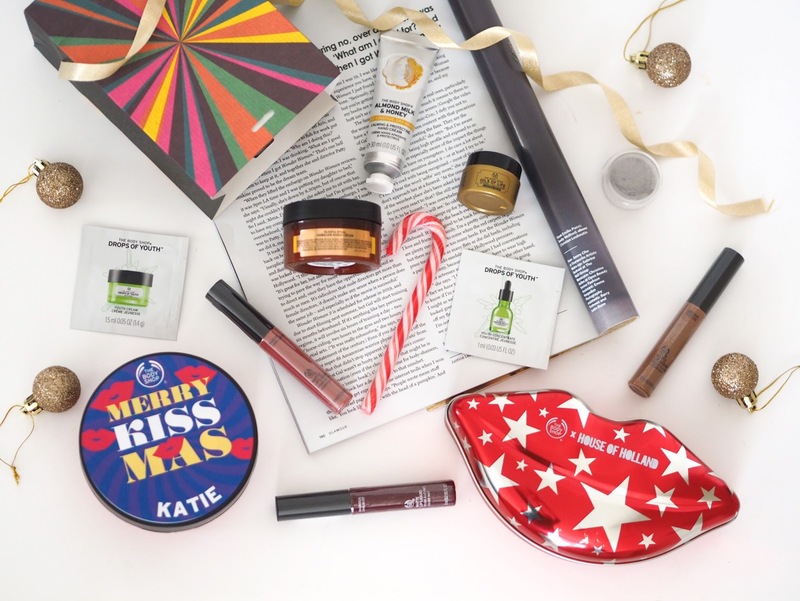 My friend James started working there not to long ago and we thought it would be fun to put together an event especially for local bloggers to showcase all their new product launches and Christmas gift sets. They had gone to so much effort to make the night fun for us! 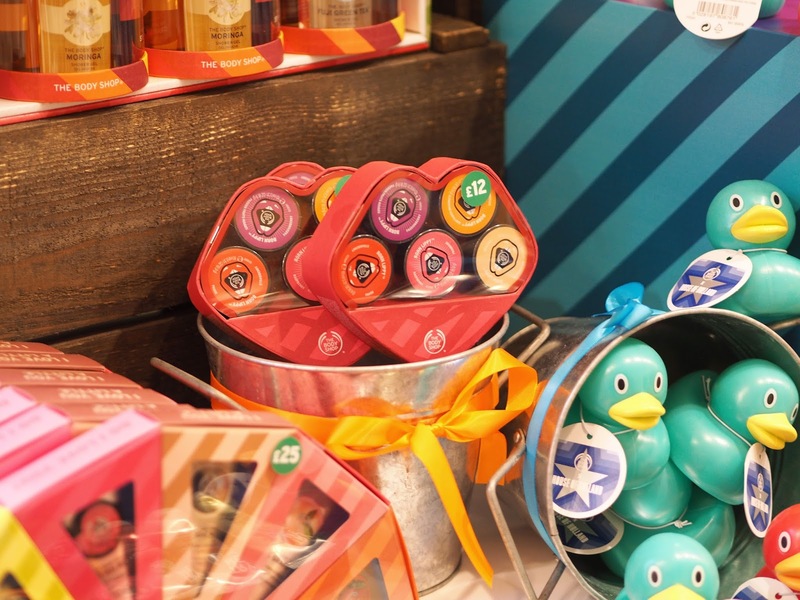 Games were set up, such a hook-a-duck, in order for us to win prizes, there were lots of nibbles and plenty of opportunities to chat get to know the other bloggers there. I had the best night hanging out with Rosie, Tania and Georgia as well as meeting a few new bloggers (which is always lovely!) 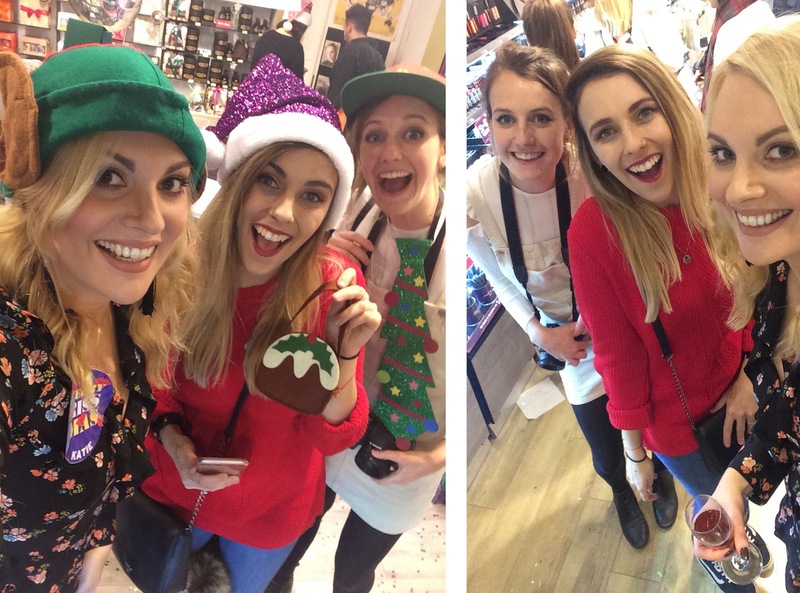 I had only spoken to online before - Emily & Charlie and YouTubers Charlotte & Theodora. 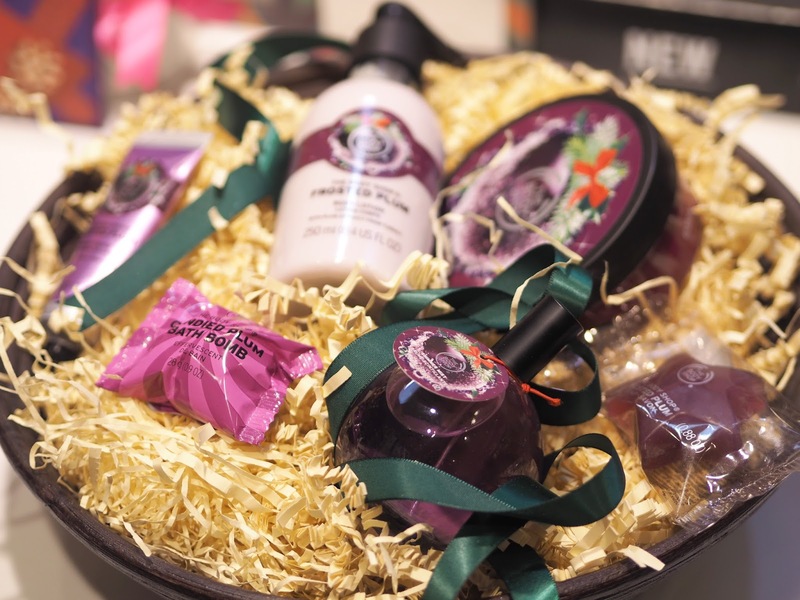 The Body Shop have so many wonderful new products & fragrances this Christmas such as the Frosted Berries and Frosted Plum scented collections. 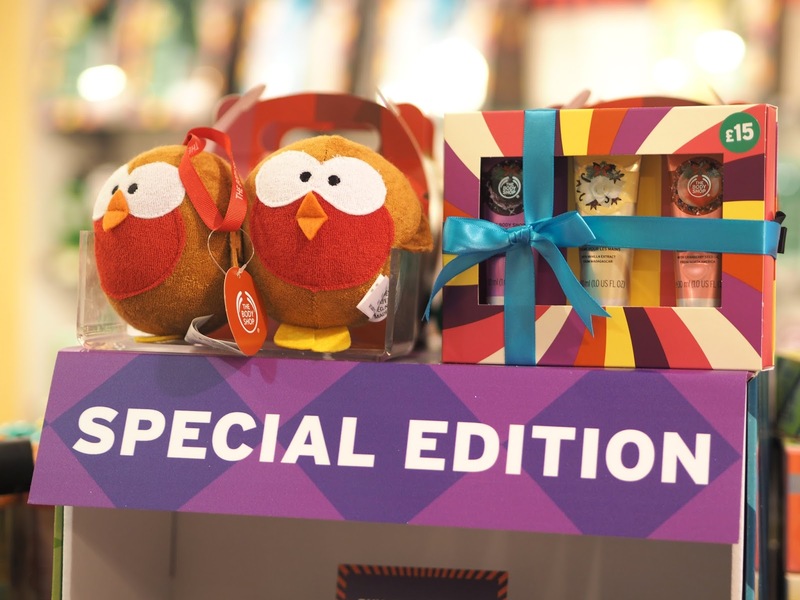 Plus we were talked through the whole range of colourful Christmas Gift Sets in super fun packaging they have to offer! 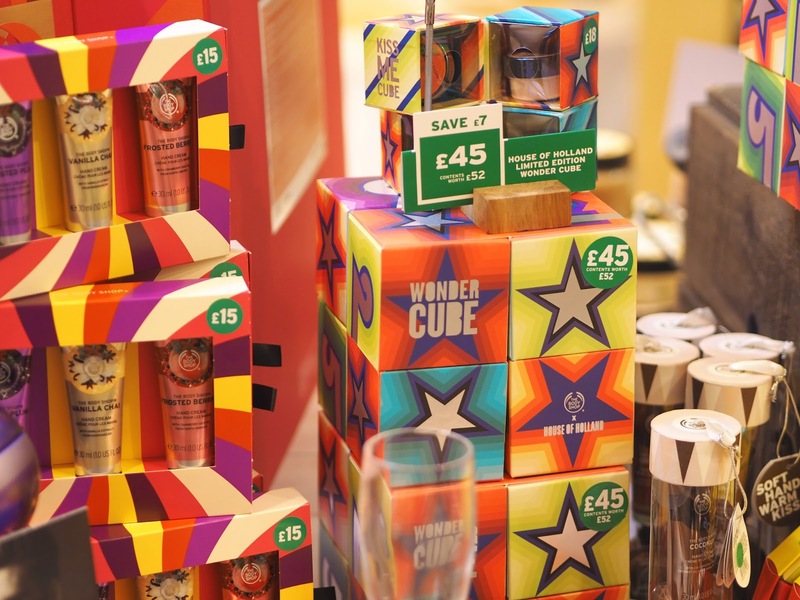 My favourites are the Wonder Cube, Spa of the World Collection and of course the Advent Calendars - which I've never actually owned before but I swear one year I will get one for myself! 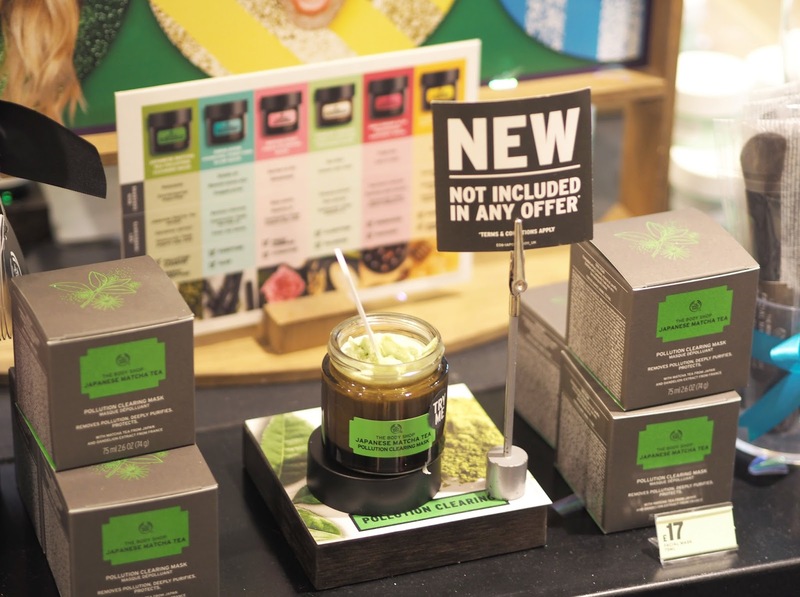 My Mum is obsessed with the body butters and we always make sure we stock her up every year at Christmas and she swears by the Hemp Range when he skin is dry and cracked. 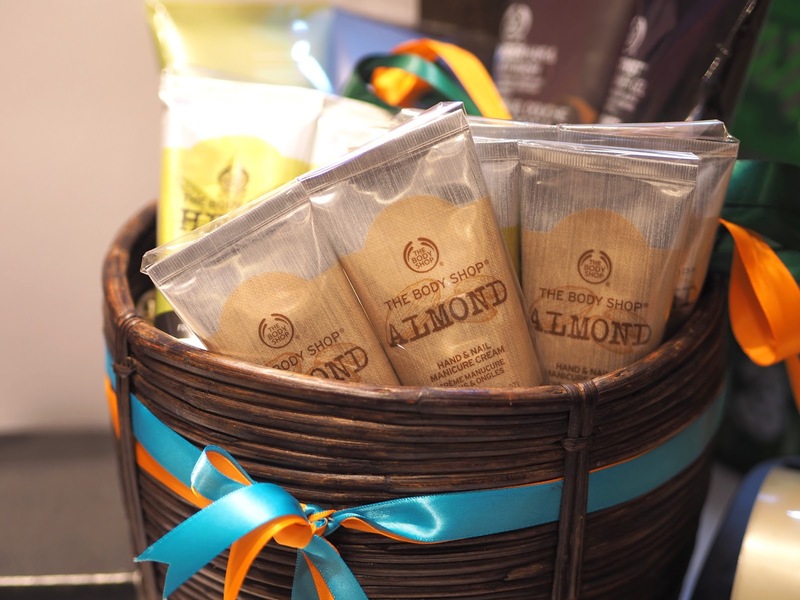 My personal favourite products from them include their Candles and Face Masks which launched last year. 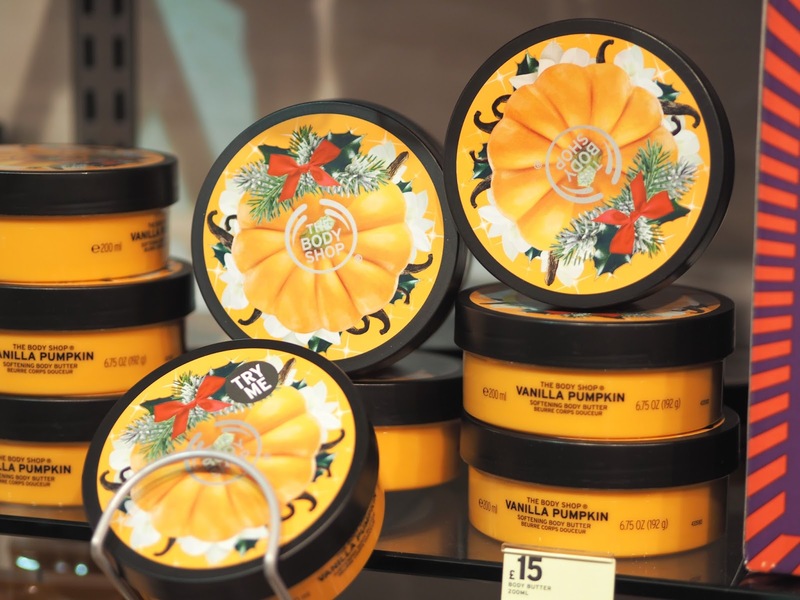 They're just amazing and I've tried every single one except the new Matcha Tea one, which will be going on my Christmas wishlist I think! 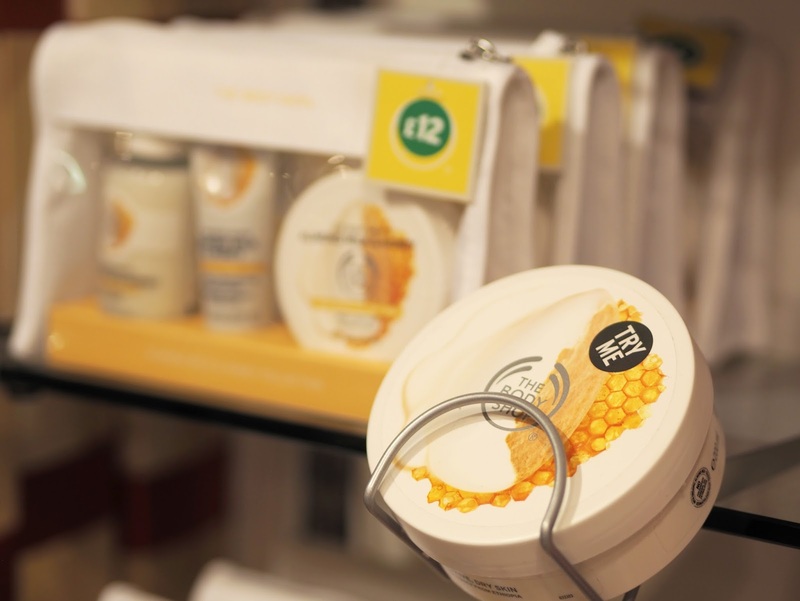 We also learnt a bit more about their recent take over from Natura having previously been owned by L'Oréal. 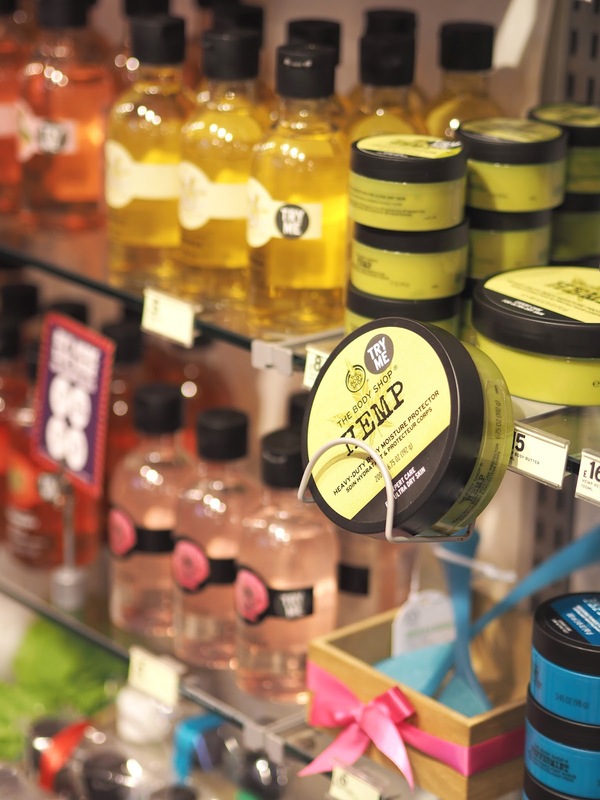 Natura who also own Aesop are keen to bring back the focus on The Body Shop's natural, ethical & sustainable roots! I really excited to see what's to come from them in the New Year. 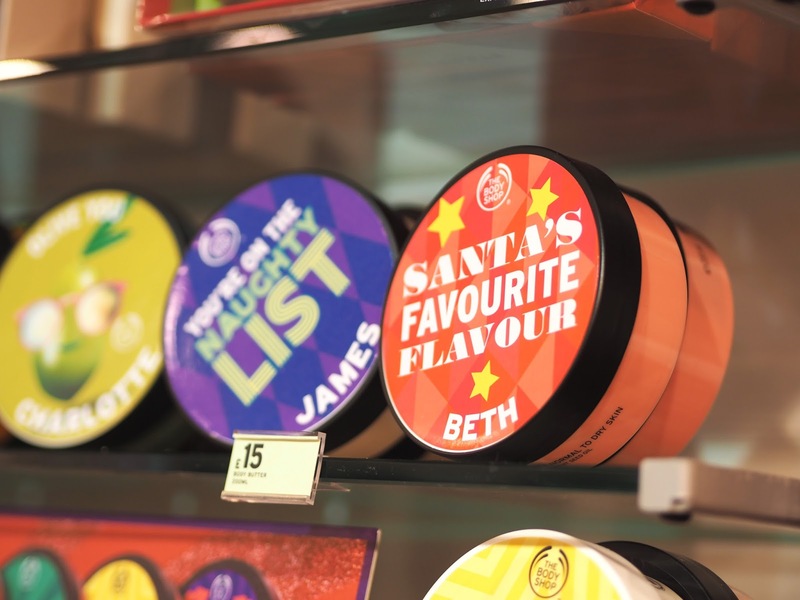 In the Chichester store they have a machine where you can print out your own personalised sticker for your body butters! Such a lovely idea for a gift I think, you choose the style of the cover and then add the recipients name at the bottom. 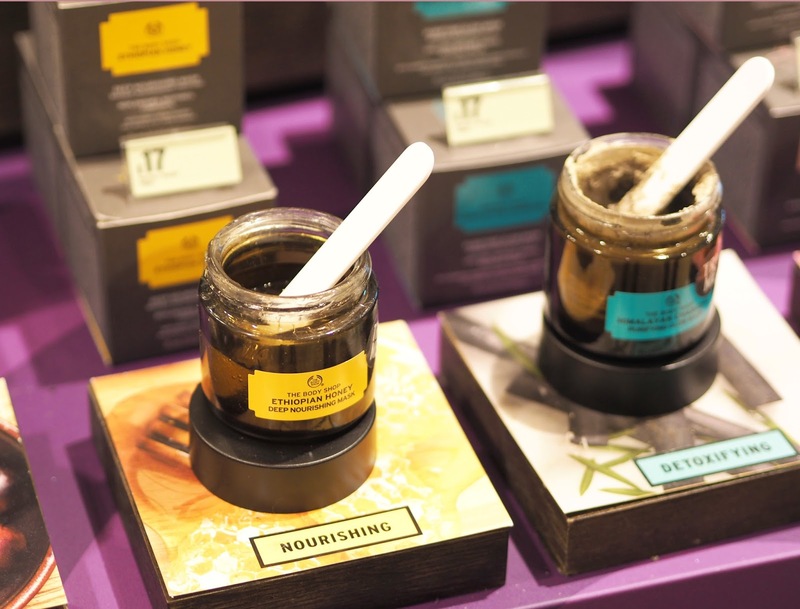 We were lucky enough to be treated to our own personalised body butters, I went for frosted berries, as well as a bag of other goodies! They also very kindly gifted me this limited edition Matte Lipstick Set for helping out. 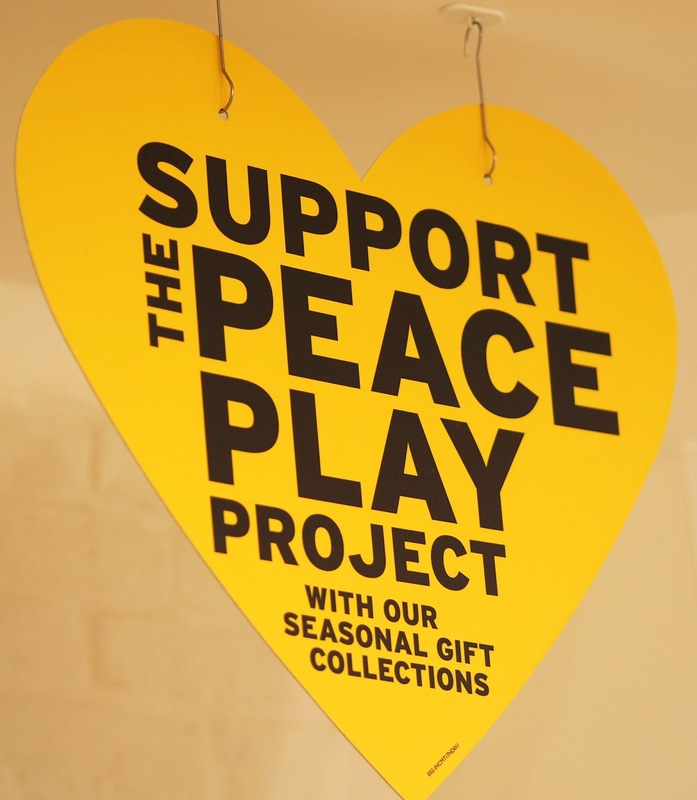 Scroll down for pictures from the event as well as links to my favourite products! Playing around with the Christmas props with Rosie & Tania! With James - thank you so much for organising! 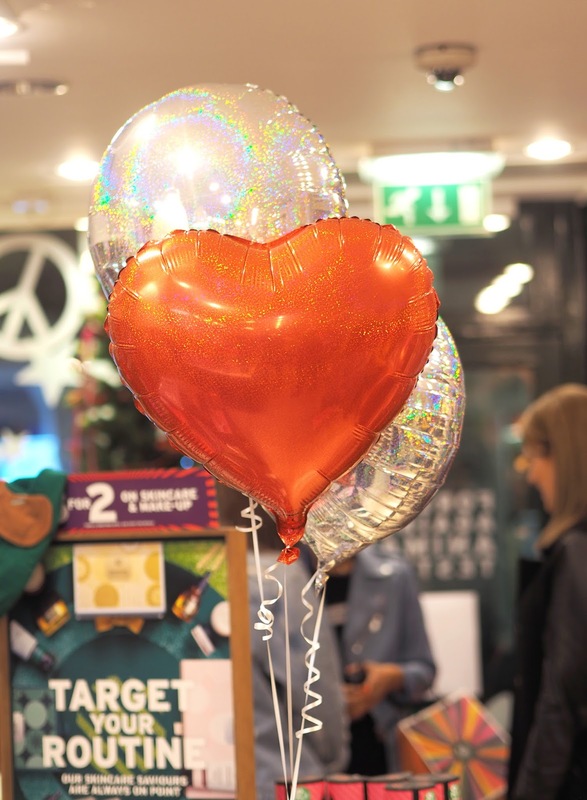 Our lovely goodie bag from the event! 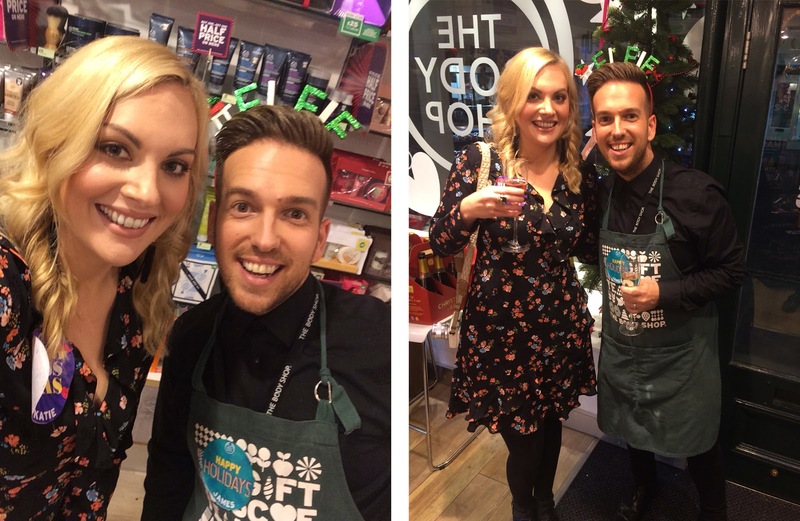 Thank you so much to The Body Shop in Chichester for hosting such a wonderful event! 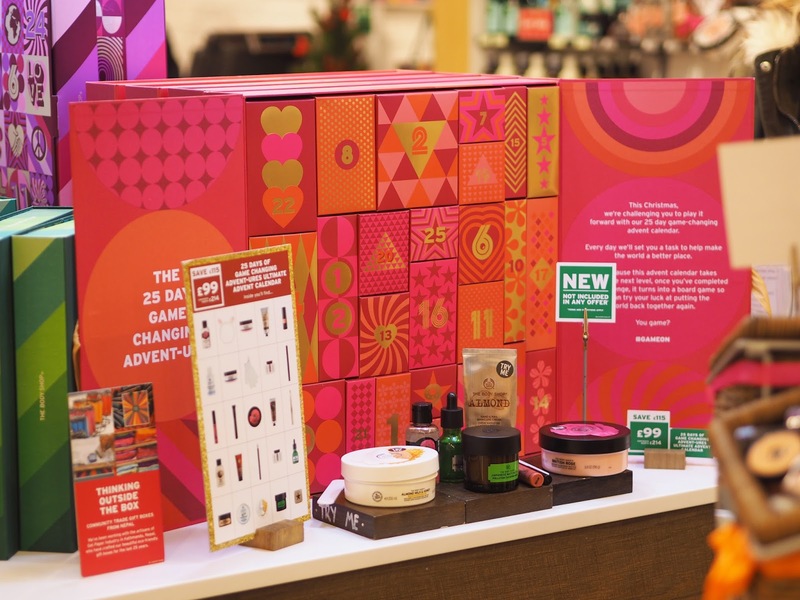 What do you think of The Body Shop's Christmas Range for this year? 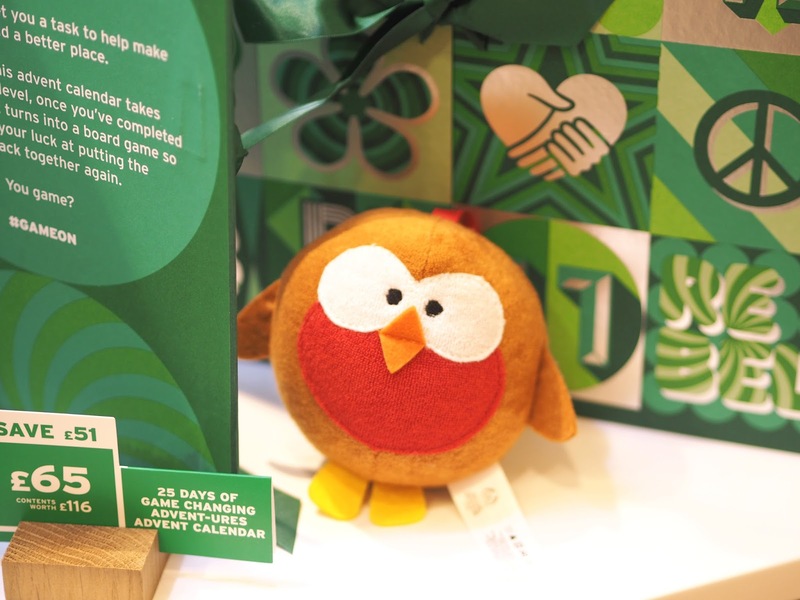 Have you bought anything yet? 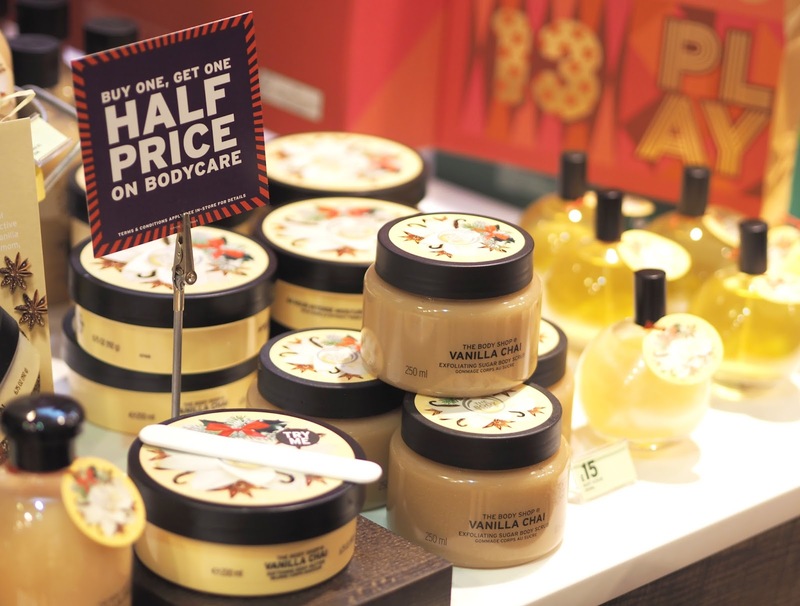 *I was invited to this event by The Body Shop however all opinions as always are my own, please see my Disclaimer for more details.